WARSAW, Poland (AP) — A 33-year-old Polish man received a face transplant just three weeks after being disfigured in a workplace accident, in what his doctors said Wednesday is the fastest time frame to date for such an operation. It was Poland's first face transplant. Face transplants are extraordinarily complicated and relatively rare procedures that usually require extensive preparation of the recipient over a period of months or years. But medical officials said the Polish patient's condition was deteriorating so rapidly that a transplant was seen as the only way to save his life. The patient is now being watched for any potential infections. 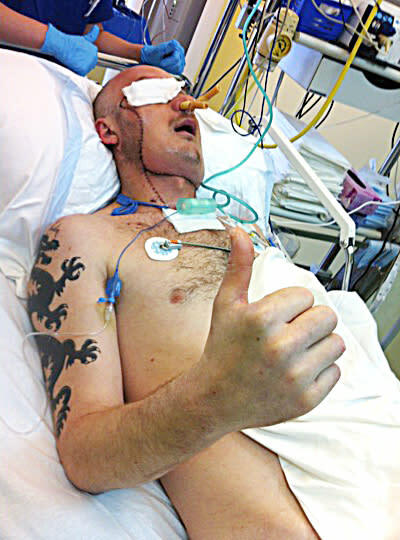 In a photo taken Tuesday, just six days after the surgery, the patient, identified only by his first name, Grzegorz, was shown giving a thumbs-up sign from his hospital bed. 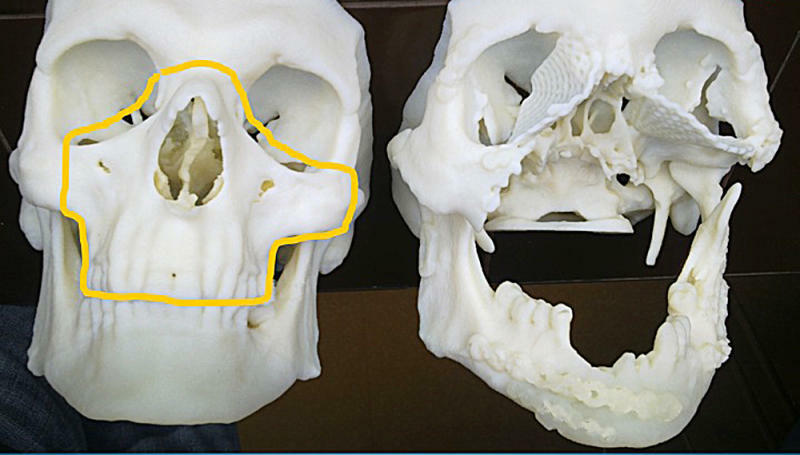 Another picture, based on computer tomography, showed the extensive damage to his skull. He was injured in an April 23 accident at his job at a stone mason's workshop near the southwestern city of Wroclaw when a machine used to cut stone tore off most of his face and crushed his upper jaw. He received intensive treatment at a hospital in Wroclaw that saved his life and eyesight. But an attempt to reattach his own face failed, leaving an area close to the brain exposed to infections, doctors said. The damage was too extensive for doctors to temporarily seal the exposed areas. So he was taken to the Cancer Center and Institute of Oncology in Gliwice, the only place in Poland licensed to perform face transplants. The center has experience in facial reconstruction for patients disfigured by cancer and its experts have practiced face transplants on cadavers. Doctors at the center said the 27-hour face and bone transplant was performed May 15 soon after a matching donor was found. The surgery reconstructed the area around the eyes, the nose, jaws and palate and other parts of the man's face. Pictures show stitches running from above the patient's right eye, under the left eye and around the face to the neck. The donor, a 34-year-old man, was chosen from a national registry of potential donors after his age, gender, blood group and body features were determined to be a good match for the injured man. The head of the team of surgeons and other specialists, Dr. Adam Maciejewski, said it was the first time a face transplant was carried out so soon after the damage. Face transplants are usually a last resort after conventional reconstructive and plastic surgeries have been tried. "In such an extensive injury, where the structures close to the skull base and in contact with the brain area are exposed, any infection would be dangerous, not to mention the impossibility to function normally, including problems with breathing, with eating," Maciejewski said. "All that led us in one direction." "We assume the surgery will allow the patient to return to normal life. He will be able to breathe, to eat, to see." Maciejewski said that over time, the face will mold to the man's facial bone structure and he will not look like the donor. The patient is now breathing on his own and responds to questions by nodding his head or squeezing the hands of doctors. But his condition is serious and it will be months before the procedure can be declared a full success, said Dr. Krzysztof Olejnik, head of the team of anesthesiologists. Another member of the transplant team, surgeon Dr. Maciej Grajek, told The Associated Press that the patient was receiving drugs to ward off any potential viral, bacterial or skin infections, but the face is alive and is healing. Though he is in sterile isolation, the patient has started the rehabilitation process. He will stay on special drugs for the rest of his life to prevent rejection of his new face. More than two dozen transplants of the face or parts of the face have been performed around the world. The first one was a partial face transplant in a woman maimed by her dog in France in 2005. Dr. Bohdan Pomahac, who in 2011 led a team in the United States that performed a full face and double-hand transplant on a woman mauled by a chimpanzee, said in an email he believes that in the future surgeons will decide more swiftly on a transplant, just as the Polish team did. "This is the way we likely will practice in the future," said Pomahac, a reconstructive surgeon at Harvard-affiliated Brigham and Women's Hospital in Boston. However, he cautioned that patients should be given more time to be fully involved in a decision that will have a life-long impact on them. "I still think that a traumatized patient, even with all the psychological support, probably has a hard time making the right decision within hours/days after life-changing trauma," Pomahac said. 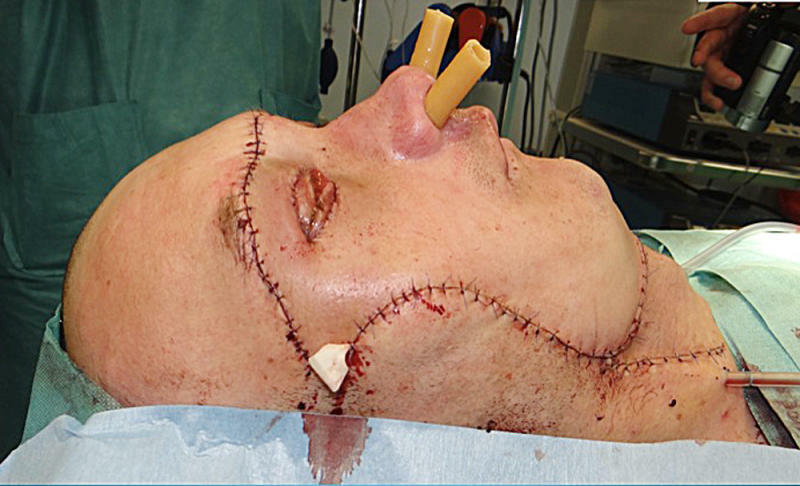 Dr. Zbigniew Wlodarczyk, who has performed limb transplants in Poland but was not involved in the face transplant, told the AP the surgery was groundbreaking because it was carried out on a fresh injury and on tissues that have not healed, but that leaving such an extensive wound open would have led to infection and the patient's death. "Such rare but spectacular procedures show the possibilities of medicine today and advance it," he said. "This places Poland in the elite group of countries performing such transplants.